Where do you want to go birding in Washington today? ....Skagit Flats - this is a prime site to see 13 species of birds of prey. be stationed at a number of convenient locations along the Skagit River to help you learn more about the largest wintering bald eagle population in the Lower 48. Here is more information to help you plan your visit to the Upper Skagit. coast, 30 minutes west of Aberdeen, WA. Grays Harbor Estuary in Hoquiam, Washington became the newest site in the Western Hemisphere Shorebird Reserve Network (WHSRN) on April 28, 1996.
of the State of Washington, is one of two major estuaries on the Washington coast. The estuary is a nursery ground and passage way for a vast array of living resources and an important link in the migratory patterns of many fish and wildlife species. Grays Harbor is of critical importance to migrating shorebirds, including as many as 24 species. ocean coastline and mountain peaks, a wide variety of animals may be found here.There are over 300 species of birds and 70 species of mammals in the park. At least 18 are found no where else in the world. Another Olympic National Park Site, with pictures. near Sequim in Clallam County, Washington, on the Strait of Juan de Fuca.Key wintering and spring gathering area for brant and other waterfowl. The calmer waters of Dungeness Bay make this an outstanding shorebird area. Society of Washington. This excellent site provides a clickable map to many birding places in Washington. Includes specialized chicklists and links to more detailed information sources. State could see up to 365 species of birds by visiting the Washington Coast. This represents almost 80% of the species that have been found in the state. With this many species, it is easy to see why the Washington coast is such an attraction for birders and why it is one of the top 10 best regions to bird in the United States. Many come to see the coastal specialties and hope for the rarity that occasionally appears. Peninsula along the shore of the Strait of Juan De Fuca. Park is located in Bellevue, a suburb to Seattle in Washington State, USA. The Greenbelt contains many different habitats: lakes, streams, meadows, and woodlands. As a large number of different birds can be seen in a relatively small area - about 150 acres - the Greenbelt is ideal for a short birding trip. This site also contains other information about birding in the Seattle area. might want to know about birding in Klickitat County Washington, including checklists, Important Bird Areas, and local events. Society (Auburn, Washington area). See this site also. Olympic Peninsula offers exceptional year-round bird watching. Our mild winter supports large numbers of ocean birds, including waterfowl. Spring and fall are migration times and offer great diversity in species. Summer residents are numerous and varied due to the diversity of habitat - from rainforest to tidelands. Scott to Washington, including Nisqually, Dungeness and Willapa NWRs, Tokeland (where she filmed the bar-tailed godwit), Ocean Shores, Hurricane Ridge, Cape Flattery, and other sites on the Olympic peninsula. Washington (originally published in "Winging It" June 1997, the newsletter of the American Birding Association). Potholes Reservoir is located approximately 3.5 miles southwest of Moses Lake in east-central Washington. This reservoir, which serves the irrigation needs of the central Columbia Basin, and the surrounding lands form part of the Columbia Basin Habitat Management Area. Together, the Potholes and the Desert Units cover some 89,000 acres. Society has been serving the Palouse region of North Central Idaho and Eastern Washington since 1973. Chapter Headquarters is in Moscow, Idaho. chapter getting a new server). See this site also. Includes a checklist for the area. the Cascade Range in northwestern Washington. ....Bird Watching Hotspots in Walla Walla Vicinity. Shirley Muse lists several of her favorite birding locations within an hour's drive of Walla Walla. by Don Baccus - A few years ago, University of Washington researches hit upon the idea of erecting a large construction crane in the middle of a patch of old-growth forest, using it to haul researchers to various points within the canopy. Originally it was planned for northwestern Washington, but local timber communities, which figure that more knowledge means less logging, opposed the project, so it ended up being built in southern Washington's Gifford Pinchot National Forest. While the main focus of the project is on the phsysiology of trees, the Forest Service has taken advantage of the crane to conduct systematic point counts of bird species utilizing the canopy. birdingpal.com...>> A Birding Pal is not a paid guide, but someone who likes to help out of town visitors. You can become a Birding Pal today! Help someone to enjoy your local birding spots and find a pal to help you when you travel. Click here for Washington Birding Pals, or join to be a Birding Pal! Washington State, for our all day trips to Grays Canyon, a submarine canyon which lies 35 nautical miles due west from the mouth of Grays Harbor, on the edge of the North American continental shelf. Center has scheduled its seventh year of cruises to Protection Island. These very special cruises, extremely popular with birders, have also generated increased interest among non-birders looking for an idyllic natural science experience. Home to breeding and flyway populations of numerous bird species, this National Bird Refuge, off-limits to the public, also plays host to numerous marine mammals. Trips are scheduled for 1PM till 4PM on Saturdays, October 7th, 14th, 21st & 28th, November 4th & 25th (Thanksgiving weekend) and Sunday, Dec. 31st(New Year's Eve. ), timed to coincide with the annual fall migration. This tour offers a unique opportunity to explore Washington's diversity of habitats at the peak of the nesting season, with most species in full song and in full breeding plumage. Washington's diversity of habitats and landforms is truly astounding--and lies within reasonable driving distances. Spring Grand Washington May 22 - June 2, 2002 (12 days - limit 16) with leaders Bob Sundstrom & Greg Lasley. See also Fall Grand Washington September 3 - September 11, 2001 (14 days - limit 16) with leaders Bob Sundstrom & TBA. Nature Tours (VENT) - This is one of our new series of Introductory Birding Tours to enable new birders to increase their birding skills. While almost all VENT tours are appropriate for birders at any level, beginners will find these trips especially helpful. The focus will be on the basics: use of your field guide, putting a bird in a family, bird identification, and bird habitats. Typically, these tours will stay in one birdy location. All of our leaders have an enormous fund of knowledge about birds. They are patient, skilled, enthusiastic teachers who love to share their knowledge with beginner and seasoned birder alike. 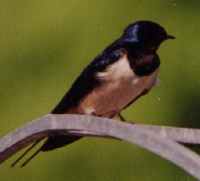 Pacific Northwest: An Introductory Birding Tour July 10 - July 14, 2002 (5 days - limit 16) with leaders Bob Sundstrom & TBA. Nature Tours (VENT) The temperate maritime climate and rich food resources of the North Puget Sound region of Washington and British Columbia make it an especially attractive winter home for the myriad birds of prey, diving birds, and waterfowl that return here each year. The high peaks of the Olympic Mountains form a majestic backdrop and create a rainshadow that generally mitigates precipitation in the heart of this excellent birding area. An impressive array of raptors hunt the river deltas along the North Sound. Winter Washington and British Columbia - with Bob Sundstrom & Barry Lyon. February 02 – February 09, 2003 (8 days – Limit 16). ....East Lake Washington Audubon Society - Bellvue, Washington. P.O. Box 571, Concrete, WA 98237. Call (360) 853-7009 for more information. Festival will be held in Othello, Washington on March 23-24th, 2001, including birding tours at the Columbia Wildlife Refuge. the features of sandpipers feeding among the mudflats but so close you can't focus your binoculars or watching a Peregrine Falcon hunt through a huge flock of darting shorebirds? Birders will have these choices and a lot more at the Gray's Harbor Shorebird Festival to be held on Friday, Saturday and Sunday, April 27-29, 2001 in Hoquiam, Washington. 1999. Contact Downtown Walla Walla Foundation, 33 e. Main Street, Suite 213, Walla Walla WA 99324. Call (509) 529-8755 for more information. ....Birder's Guide to Washington - by Diann MacRae. ....National Geographic Guide to Birdwatching Sites : Western U.S.
by Mel White. For outings near home or far, in habitats ranging from forests to seashores, this guide includes site descriptions, starred species lists, best seasons and vantage points, and travel and visitor information. 100 full-color photos, 8 maps. by National Audubon Society, Peter Alden. Handy and lightweight, this is an all-purpose field guide to the region's natural history for those who don't care to lug around a bunch of separate guides to flora, fauna, and geography. An easy-to-use field guide for identifying 1,000 of the region's wildflowers, trees, mushrooms, mosses, fishes, amphibians, reptiles, birds, butterflies, mammals, and much more. the Olympic Mountains, Vancouver Island, and the Coast Mountains - by Jan L. Wassink. Enjoy a guide which includes color photos of almost two hundred species in their natural surroundings, descriptions of bird habits, and intriguing pairings of how and where to look for each bird. This is a fine, affordable guide which goes beyond mere identification, teaching the basics of understanding birds. Gary Ross (Illustrator), John Alden. ....All the Waterbirds : Pacific Coast - by Jack L. Griggs, Edward S.
Erckmann (Illustrator). This book is well written and wonderfully arranged for the shorebird buffs and beginners alike. The book gives a great over view on the identification of shorebirds and gives many interesting facts as to their range and occurrence in the Pacific Northwest area. 270 page spiral bound guide features 160 of the best places along coast to find birds. The "Coastal Specialties" are identified with full color photographs and details on where to find them. The guide has a seasonal checklist on all 365 coastal bird species along with information on pelagic birding, coastal accommodations, and key web site addresses.